Red dead online - Is it the best and easy way to make Money? While there are newer and fun ways to make money in the Red dead online. Completing stranger missions for instance or completing races or showdown matches leaves you with rewards. But actually these don’t let you bag completely full, you can earn a few bucks. Something is better than nothing! 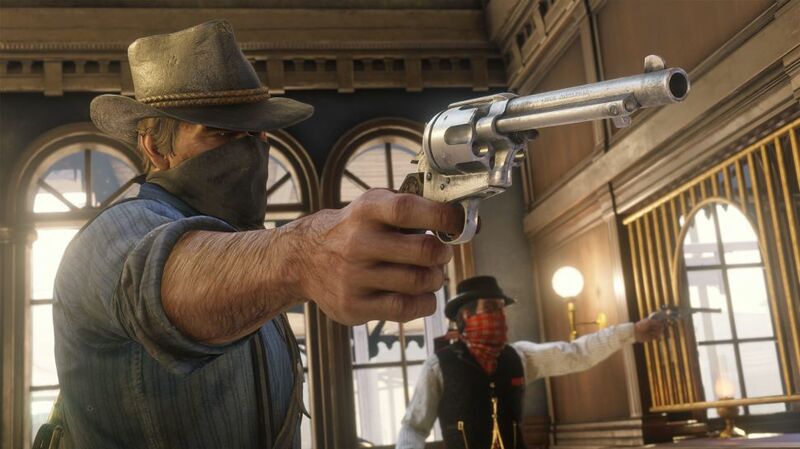 Whether you have started running low on cash or trying to fatten your wallet, here are some ways you can make money in red dead online. As you keep completing missions, you will be rewarded along your play for your quests. You can sell horses, coaches to make money by selling high-quality items to earn. It if find an affected victim or an injured person in the game, helping them would get you with unexpected rewards if you find the person again. The rewards can be kept or exchanged for money. Some may give information that might even help you rob. Fulfilling a contract or a wanted bounty can raise the way of your earning. Moreover,its promising pay compared to doing other tasks without any pre-reward ideas. Once figuring out a bounty, you can hunt the person down and carry them back to the sheriff to earn your rewards. Gold bars are only a great way to a source of income. They are usually hidden unto the end of a treasure map, sometimes even in the quest outlines. Each gold bar comes with quite a higher price of $500, which can be exchanged to upgrade your entire camp. There are glitches that can be subjugated to gross unlimited gold bars. Some northern parts of the map serve with some good loots on board along with gold bars. It’s worth going behind them to earn a few bucks. There are also gold nuggets hidden in the swinging bottles of whiskey tree. You are a part of the outlaw gang, so involving in crimes, looting people, gets you a massive bounty to fill your pockets.